Are you looking for a fun way to earn your ethics and professionalism CLE credits? Enjoy an entertaining and thought-provoking film as you uncover legal ethics and professionalism traps and pitfalls. 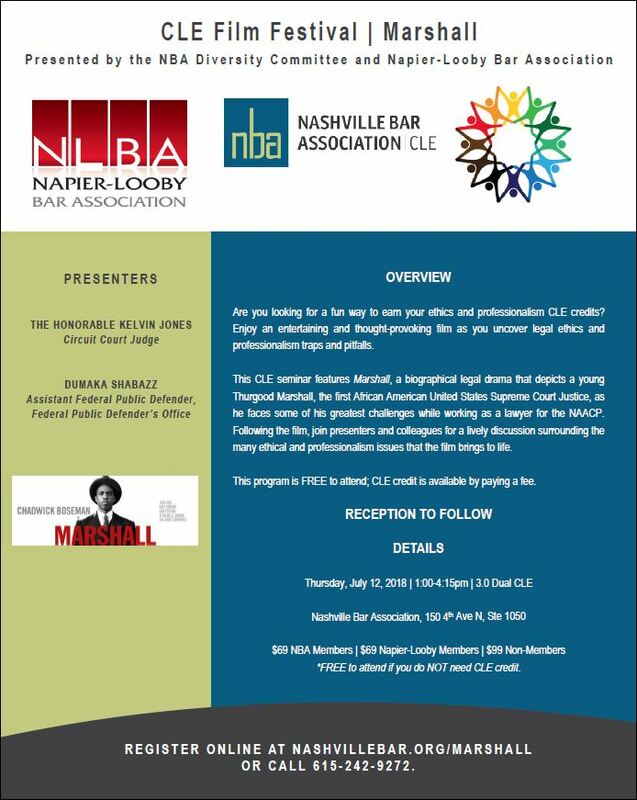 This CLE seminar features Marshall, a biographical legal drama that depicts a young Thurgood Marshall, the first African American United States Supreme Court Justice, as he faces some of his greatest challenges while working as a lawyer for the NAACP. Following the film, join presenters and colleagues for a lively discussion surrounding the many ethical and professionalism issues that the film brings to life. This program is free to attend; CLE credit is available by paying a fee. A reception will follow the CLE. Credit has been approved with the Tennessee Commission On Continuing Legal Education for 3.00 Dual credits. 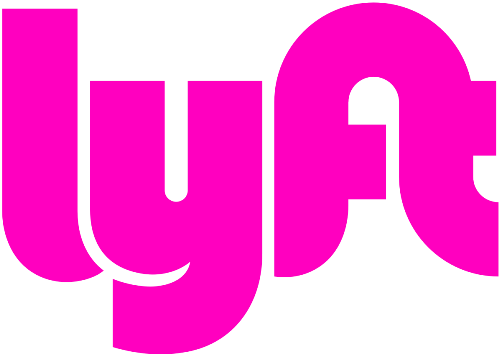 Save 10% off 1 ride to or from the seminar with code NBA712. Refund or credit will be issued after July 10; alternatively, a substitute may attend for a registered participant. For Easy Pass Holders, cancellation must be received by 5:00pm on July 10 to retain Easy Pass Hours. The Easy Pass is nontransferable and may only be used by the purchaser. Substitutes are not available to Easy Pass holders.